Our business and technology capabilities through a powerful network of alliances that help deliver the best specialized skills and tailored solutions for each individual client's needs. Our approach harnesses a global network of delivery centers, industry expertise and deep technology skills to deliver cost-effective business solutions. Arrow Network has a proven track record in delivering the strategy, design and implementation of network-based IT infrastructure and services. Arrow Network helps companies become networked organizations by harnessing the potential of IT infrastructure so that it delivers optimum benefit and value for money. In today's world of data vulnerability, we provide your organization with the best security practices, continuous risk assessments and managed security monitoring when necessary. Our solutions increase security, and control your data! Our network assessments and gap analyses help determine your systems strengths, weaknesses, and risks in order to remedy them proactively. Growing IT threats and increasing user demand for mobile, always available, and high-performing systems and applications are the new business reality. And when you have limited staff, time, and other resources, this can be a daunting day-to-day task. Given today’s diverse and complex network activities, pinpointing the direct cause of poor network performance might be difficult. We help you identify and eliminate problematic bottlenecks on your network, allowing you to reduce downtime costs, disruptions, and pressure on IT. We have established partnerships with industry-leading network management vendors. Comprehensive strategy with emergency procedures and off-site replication of on-site data. In today’s multi dimensional Information Technology environments, IT managers are asked to deliver projects that require mission critical technical and project management expertise, or require support that exceeds their current resource capabilities. Many clients have turned to Arrow Network to recommend the technology, provide additional resources, and manage the project to a successful completion. Our technical capabilities allow our client to focus on their day to day business needs, comfortable that they have a trusted partner to assist them in delivering their technical goals. 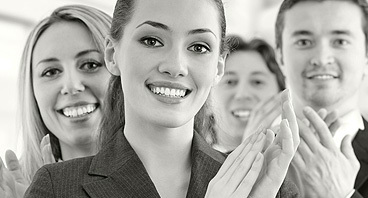 Our clients remain impressed with the level of expertise of the consulting staff that we provide. When our consultants become so valuable that our clients can’t live without them and they wish to retain the services of those consultants full time, Arrow Network will work with our clients to offer flexible employment transition plans to ensure that everyone will be satisfied.